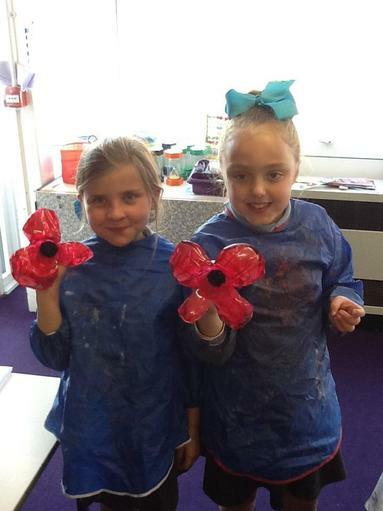 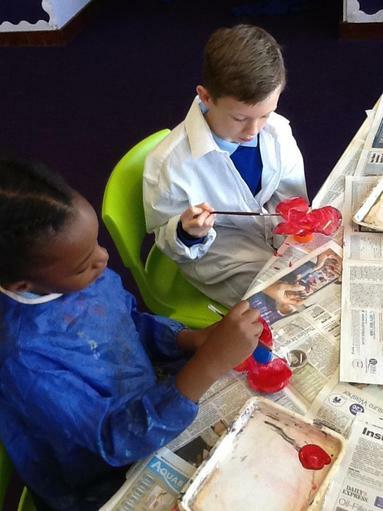 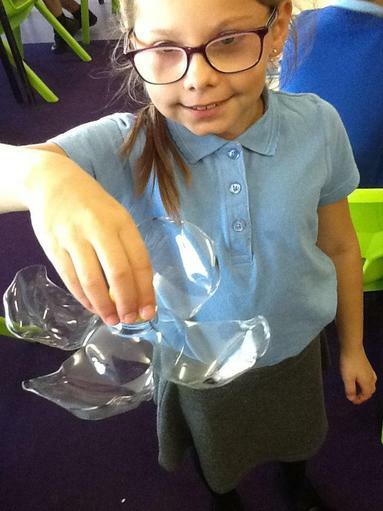 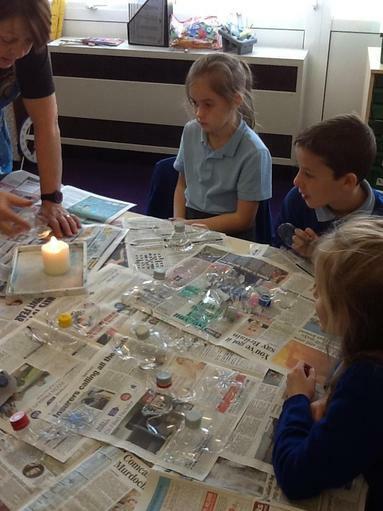 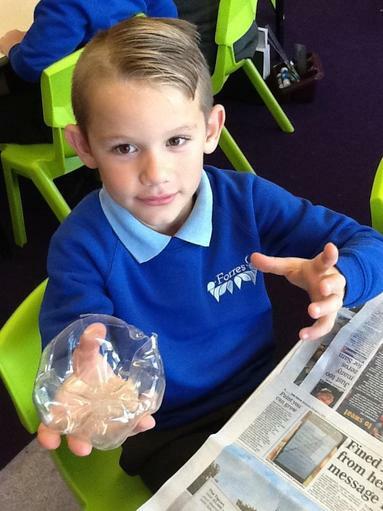 The children used recycled bottles to make poppies for remembrance weekend. 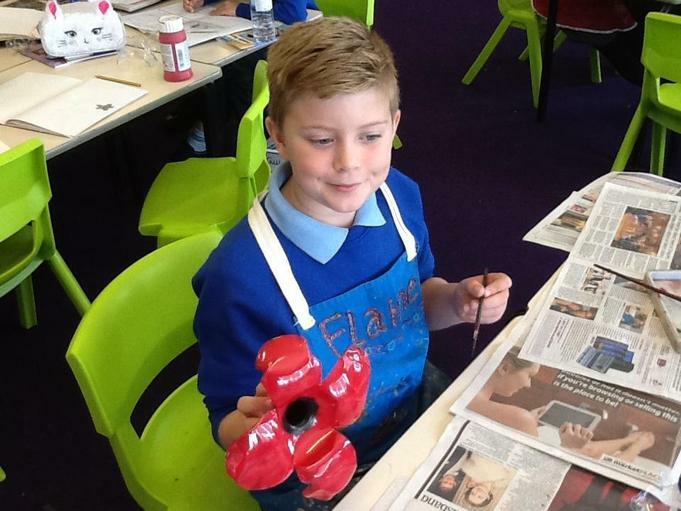 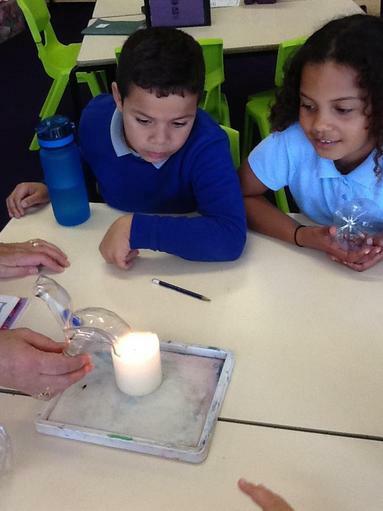 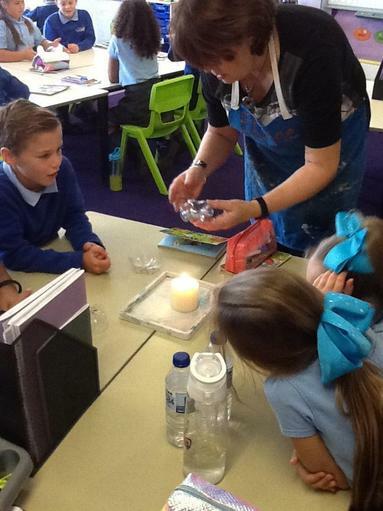 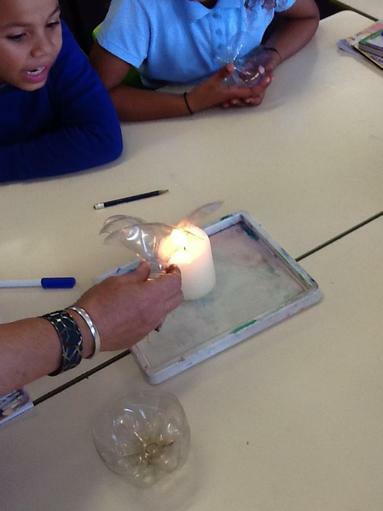 Elaine Penrose (from the community poppy project) worked with the children in class. 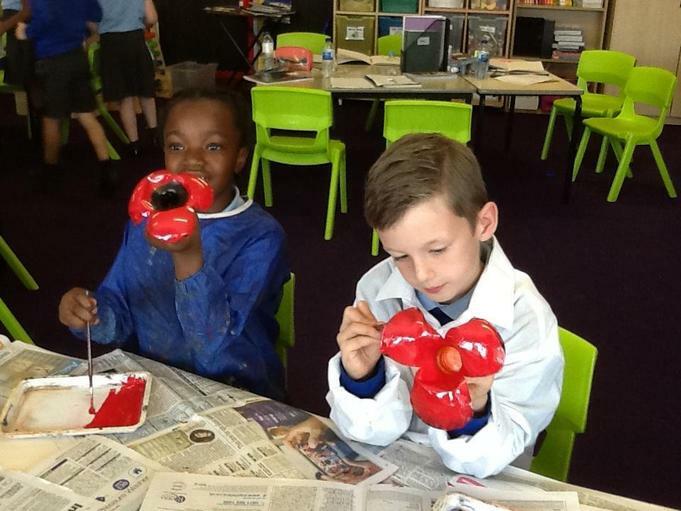 These poppies will be displayed in Hoddesdon.